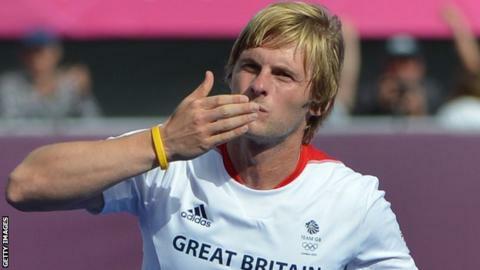 Ashley Jackson has become the latest England international to join big-spending hockey club Holcombe. Jackson, England's record goalscorer, has spent 12 years at Premier Division champions East Grinstead. The 27-year-old midfielder follows England captain Barry Middleton in making the switch to Holcombe. The Kent-based outfit secured promotion to the Premier Division in March and have the financial backing of millionaire chairman David South. Holcombe hockey: Why are England's best in the second tier? Captain Middleton dropped down a tier to sign for the club in 2013. Jackson, who has 216 international caps, won gold with Great Britain at the EuroHockey Championships in 2009 and claimed bronze with England at the Commonwealth Games in Glasgow last year. He wrote on his Facebook page: "As of the 2015/2016 season and the foreseeable future, I will start a new venture with Holcombe as they embark on their first season in the English Premier League.